RP09, decanted 18:25. Tawny orange, 20% opaque, hint of rim green. Marmalade on the nose. On the palate, Croft-style marmalade. 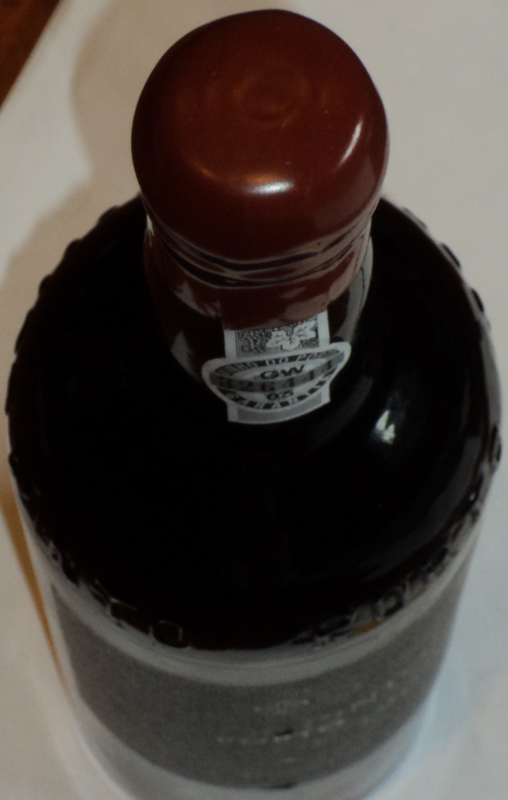 But I loved this Port for its texture more than its flavour: large, silky, oleaginous, long and thick. Silk and softness, long, slightly cloying. Fabulous texture. My WOTN. Decanted 30 mins. 15% opacity, tobacco orange, quite a clear greenish rim, a little cloudiness in the centre. Nose, some stewed oranges, though still lively and clean. Smooth entry and very even along the palate, thick and syrupy, orange peel. What a wonderful juice at 105 years of age. In the glass the nose changed a little as time went on, making me think it might be falling apart, but 2 hours later it was still absolutely fine. Mid chestnut, about 10% opaque. Light marzipan nose. A jellyish entry in the mouth, soft, but then growing with a little fire in the finish. Very good. Ex-cellars. Golden amber colour, 20% opaque. On pouring this had a wonderful nose of spices and lime marmalade. With another hour in the glass this became full of cinnamon and star anise. Tired on entry, a little oxidised and harsh on the palate. Very spicy mid-palate with a flavoursome middle and late palate. Very lively, full of spices and cinnamon. A very long and tingling finish full of toffee and cinnamon with a grassy twist at the end. Really very good. 88/100. Drunk 21-Oct-14. Decanted 1 hour.